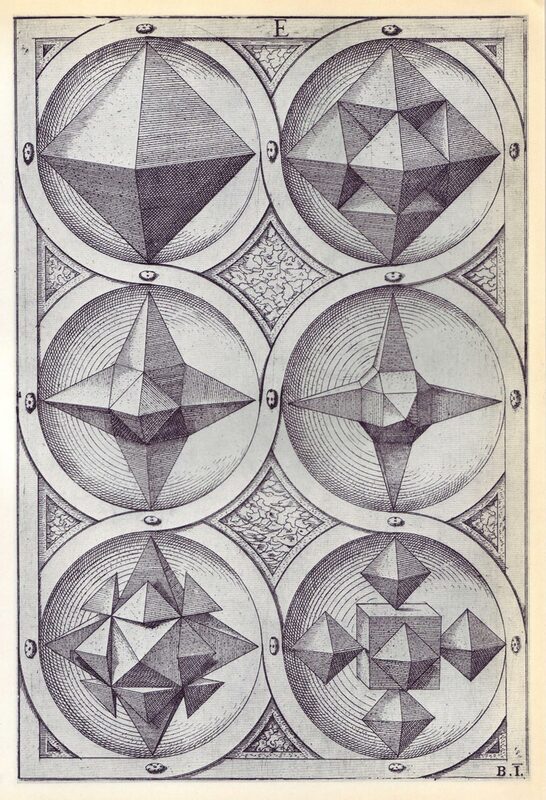 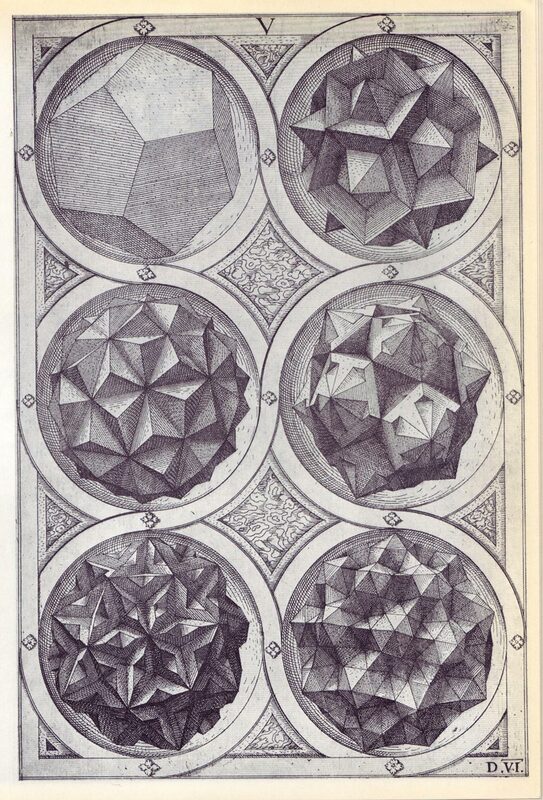 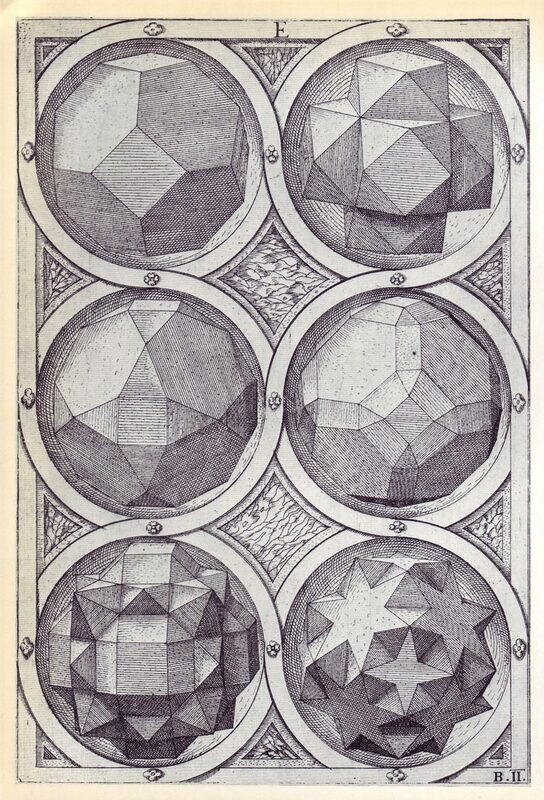 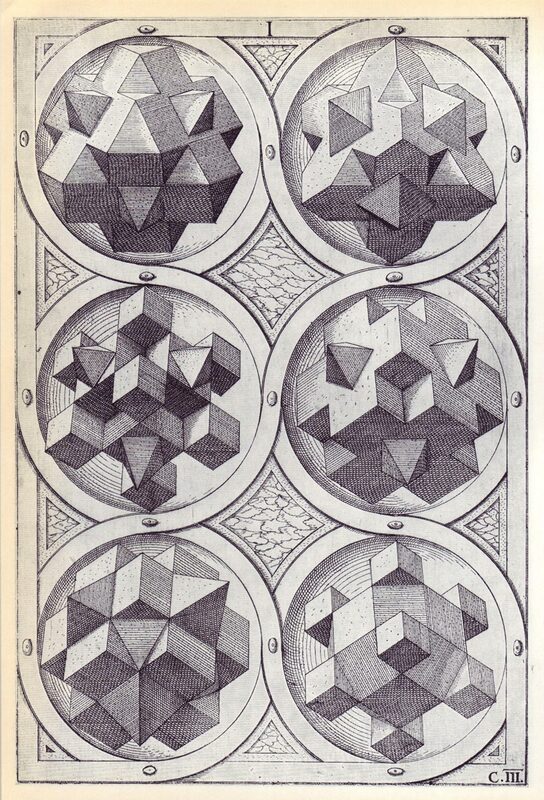 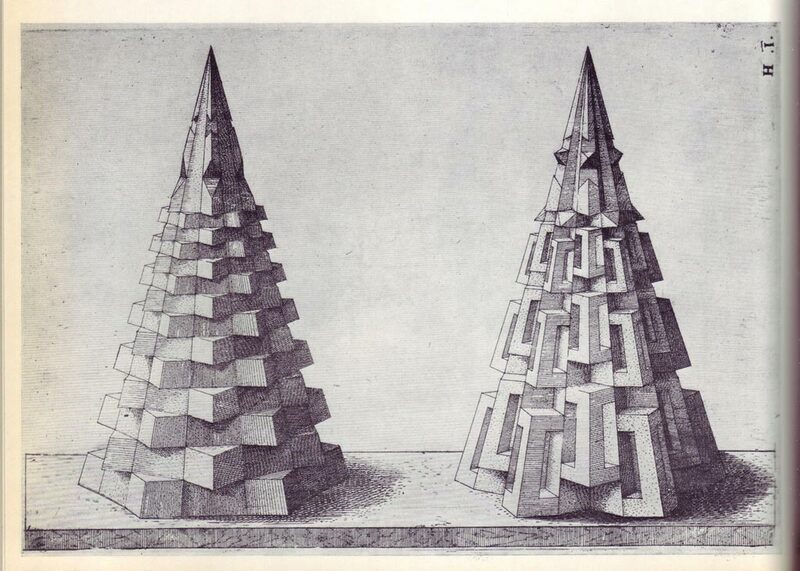 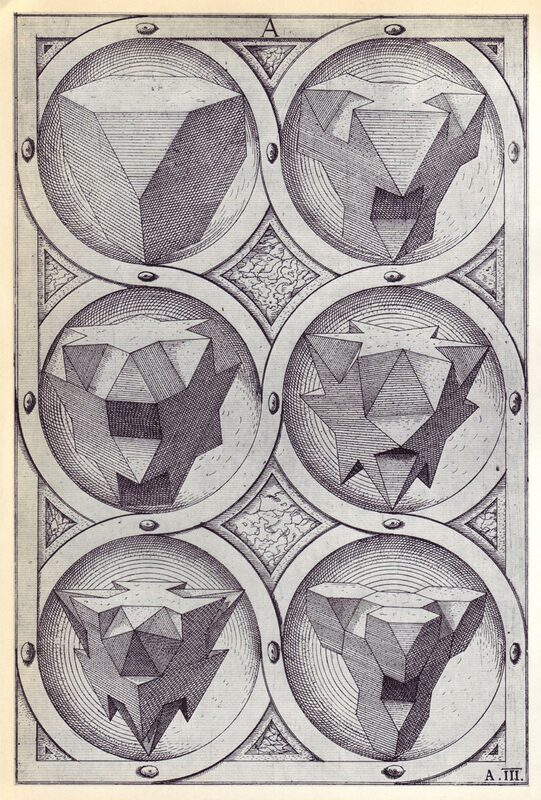 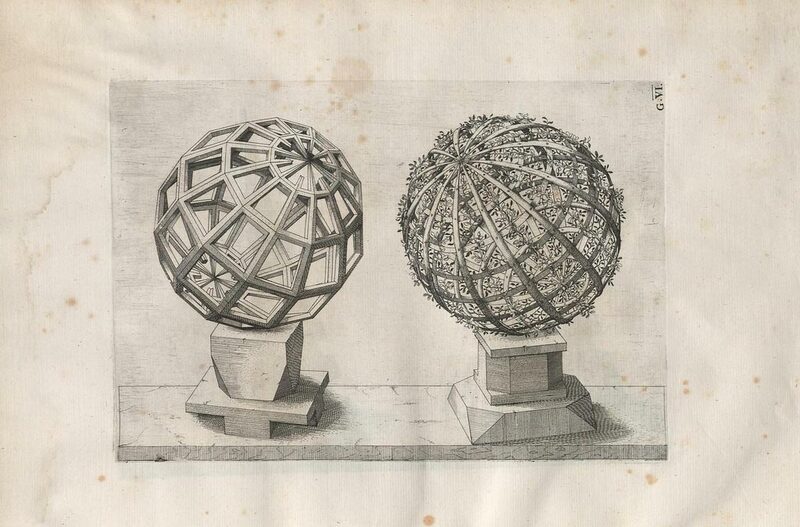 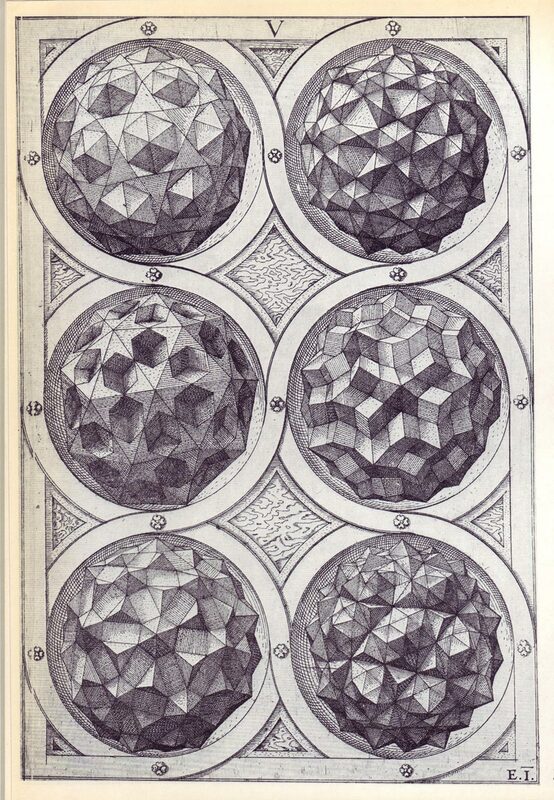 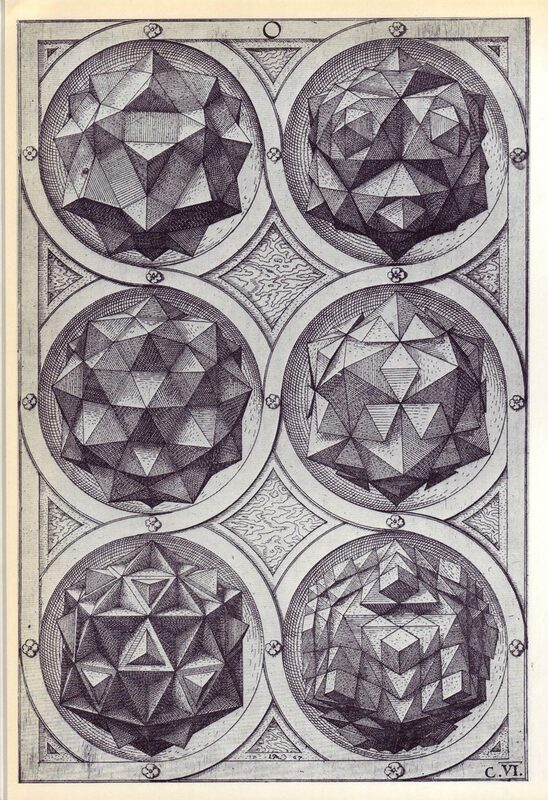 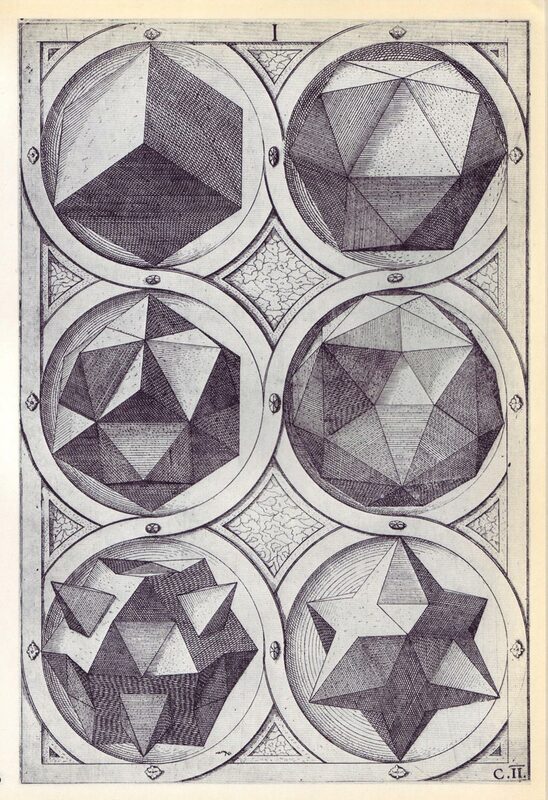 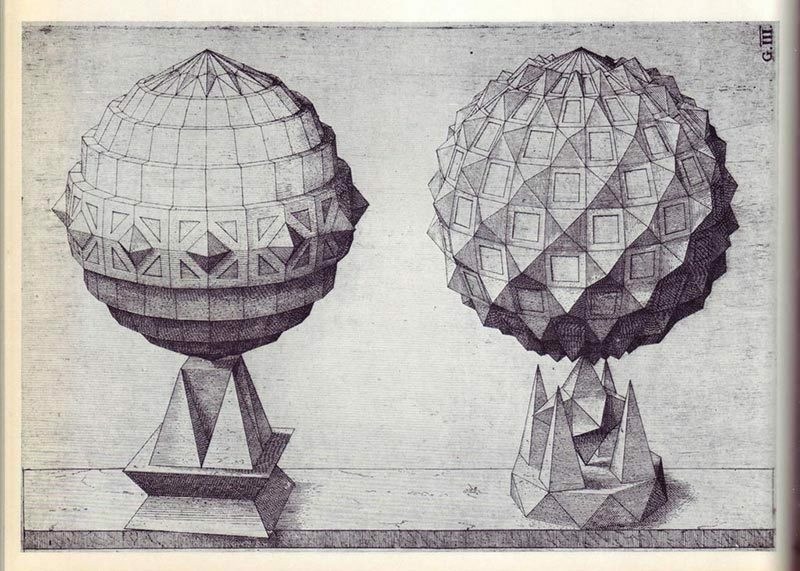 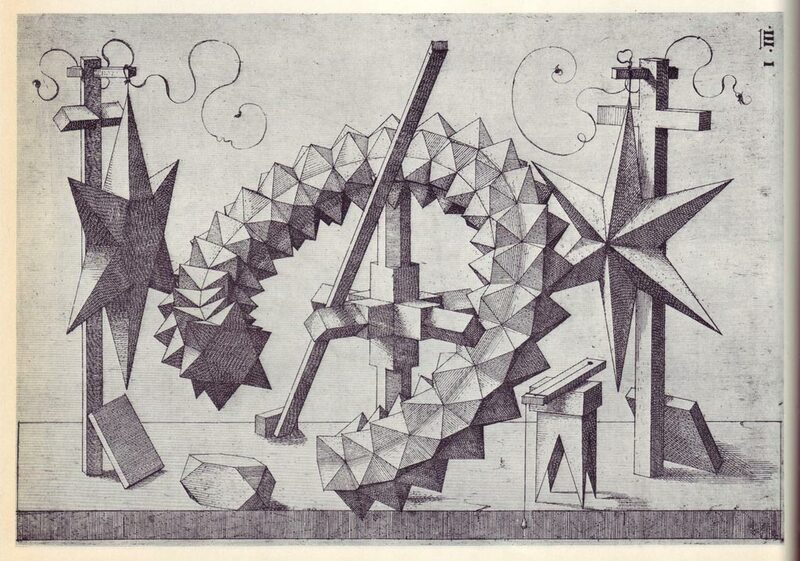 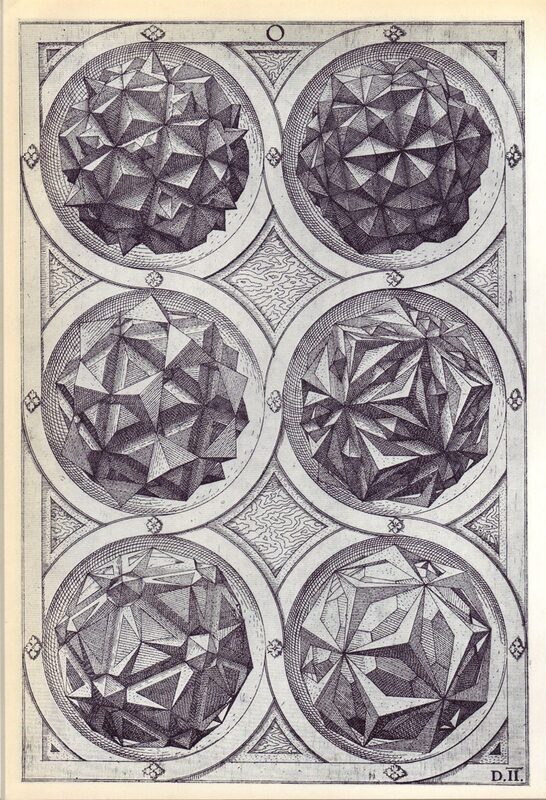 The 1586 book Perspectiva Corporum Regularium, (Perspective of the Regular Solids) is a study of the five Platonic solids modified, stellated and faceted in order to produce 120 variations. 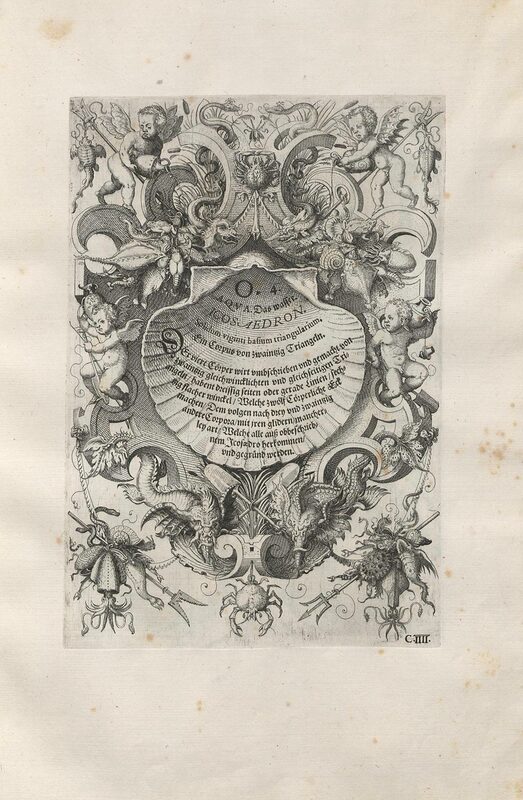 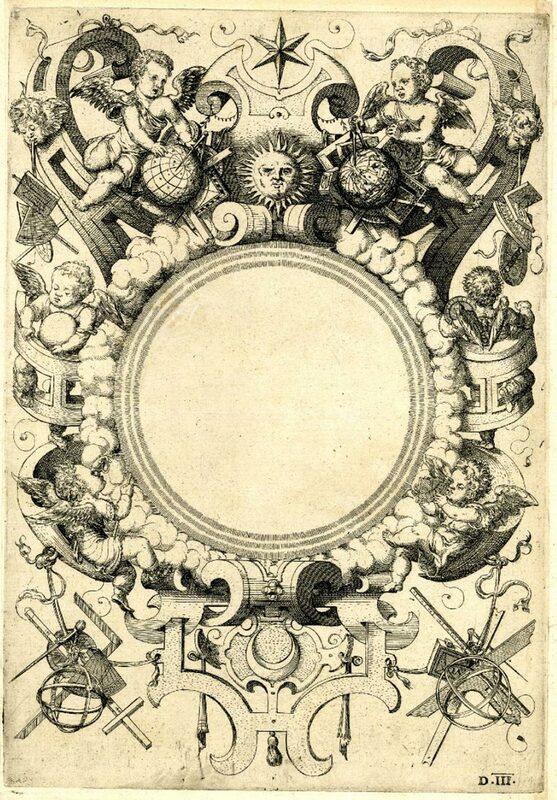 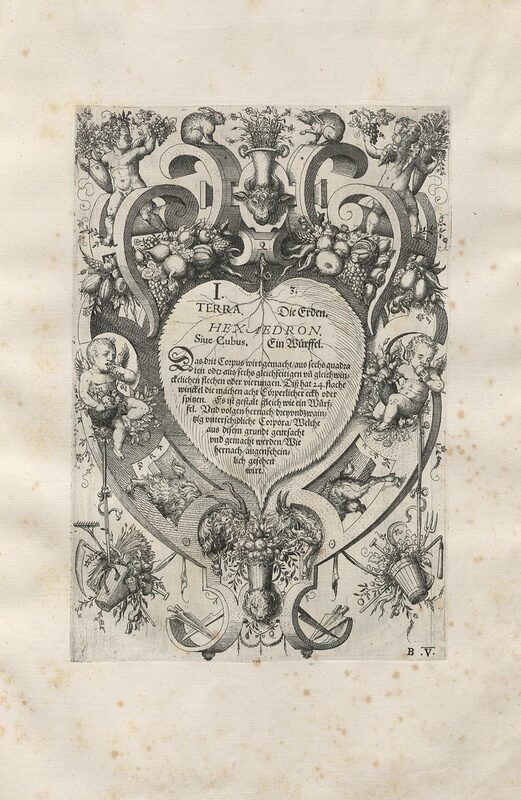 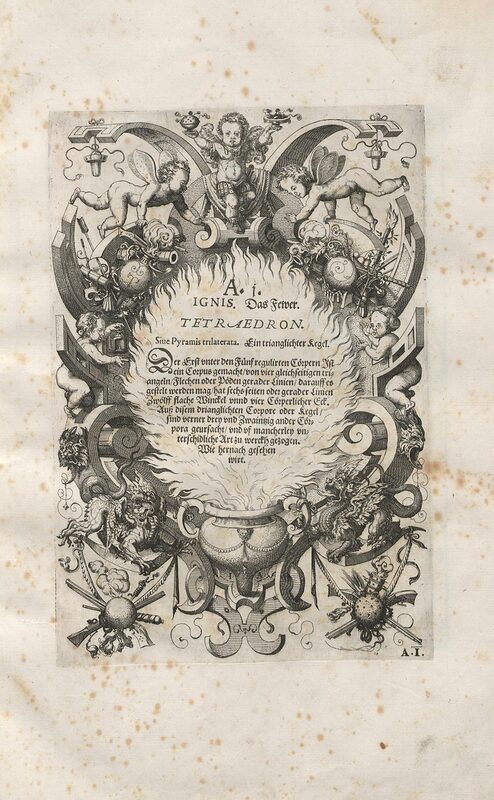 The detailed engravings were made by Wenzel Jamnitzer (1508-1585), a German goldsmith, artist and printmaker. 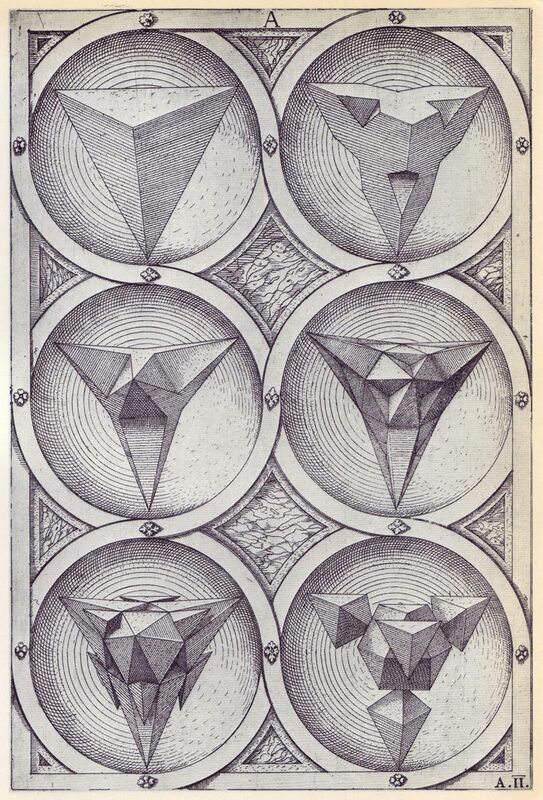 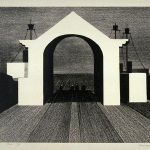 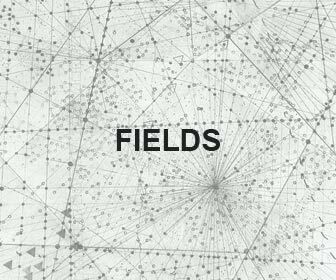 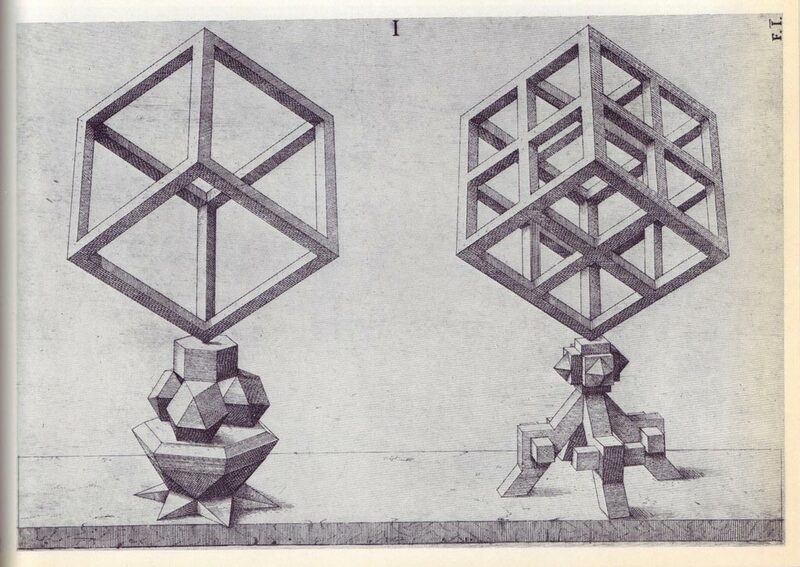 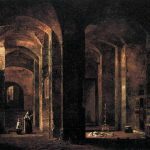 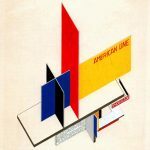 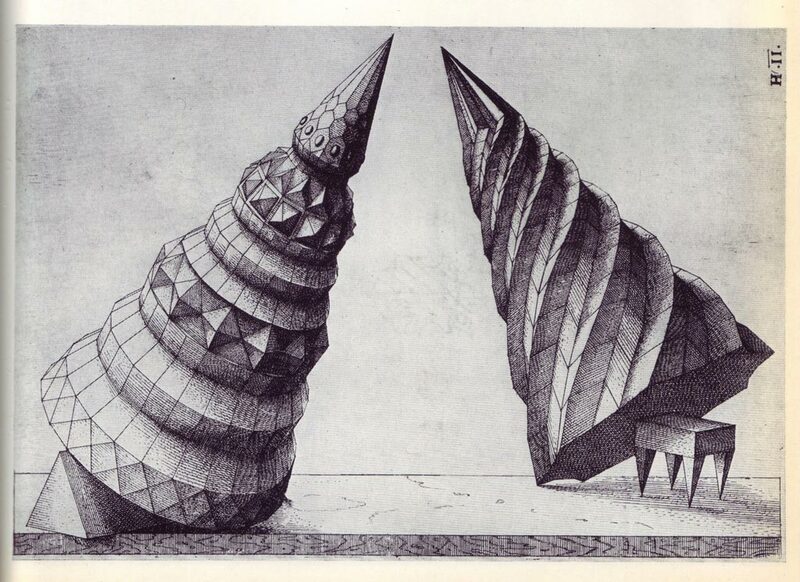 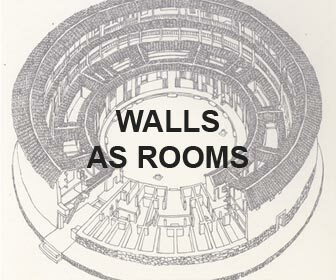 In Jamnitzer’s work the tetrahedron is associated with fire, octahedron with air, hexahedron with earth, icosahedron with water and dodecahedron with heaven respectively.